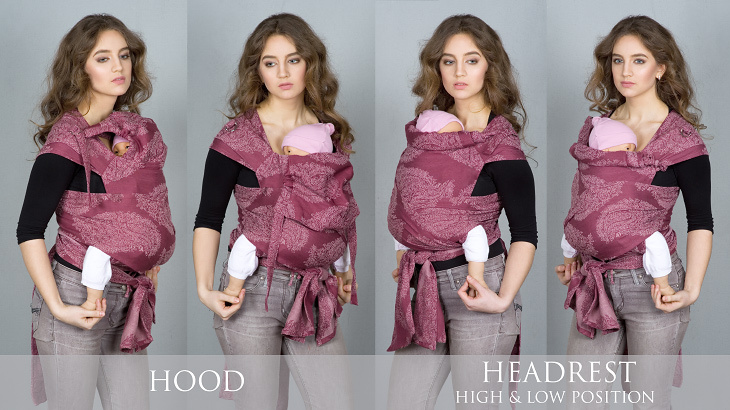 The Diva Mei Tai Slings are produced from baby wraps. This carrier is easy to use, can be worn with both new-borns and toddlers, and it just looks great! The Diva Mei Tai can be used from birth due to adjustable base and wide straps, so that you can insure correct legs position and good back support for a baby.